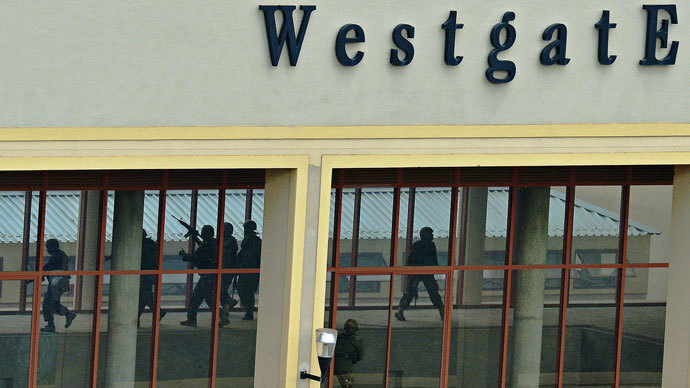 Suspected Islamist terrorists, thought to belong to the Al-Shabaab group, have staged an assault on a village and a breakout raid on a jail, killing at least 22 people. 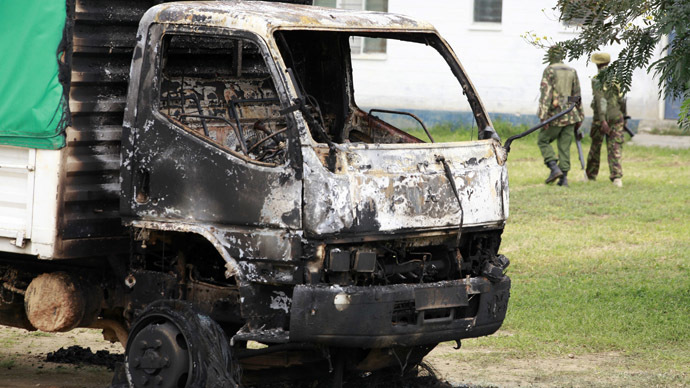 The violence is in the same Kenyan state where over 60 were killed last month. 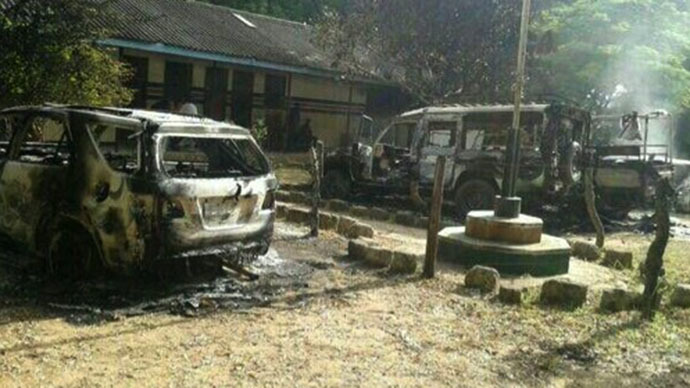 Police said that militants carjacked a truck near Gamba in the coastal district of Lamu, then killed its driver and two passengers, before pulling up at the local police station. Once inside, they overpowered the garrison, killing one policeman and leaving five others wounded. The militants then massacred five inmates in their cells, bringing the death total to nine, before escaping with three others. An anonymous police source told Reuters that the fugitives were held as suspects in a nearby attack on the Christian village of Mpeketoni last month. 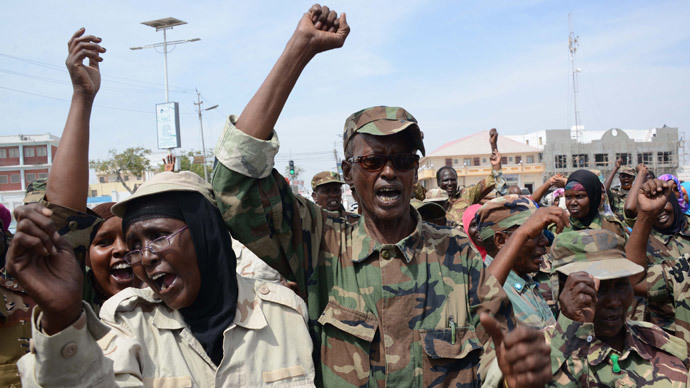 At the time, Al-Shabaab took responsibility for the attack, saying it was revenge for Kenya’s contribution to the African Union peacekeeping force that has been battling Islamists in neighboring Somalia for the past seven years. An Al-Shabaab representative told Reuters the group was behind the police station raid, and claimed responsibility for a second assault on the trading post and village of Hindi, also near the coast. Police said that a group of 10 to 15 militants appeared without warning at around 10 pm on Saturday and began shooting and burning local houses. "They went around shooting at people and villages indiscriminately," Abdallah Shahasi, the area police chief, told Reuters. While the gunmen hunted down local men, the women were forced to watch as their husbands and children were murdered, and their possessions destroyed. "They said they were attacking because Muslims' lands were being taken," villager Elizabeth Opindo said. The traditionally Muslim region has become a hotbed of religious and tribal tensions, after Christian tribes were allocated land by government programs from the 1960s onward. The attackers also left a message on a blackboard of a local school. "You invade Muslim country and you want to stay in peace," it read in English. Al-Shabaab – which once enjoyed close links with Al-Qaeda, but has struck out on its own in the past two years – claimed they did not encounter resistance. "The attackers came back home safely to their base," said a statement from its spokesman, Abdulaziz Abu Musab. Police said that the death toll for the attack was 13, while the Interior ministry said that at least 20 people died. 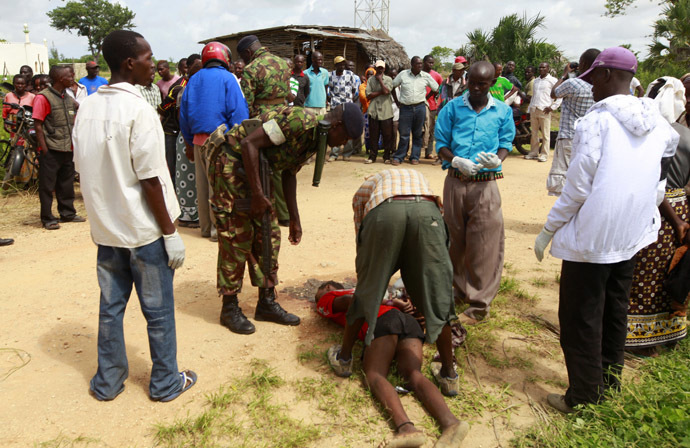 "We had attacks at night where people were killed and houses destroyed,” said Robert Kitur, a Lamu police official. “We have mobilized our officers and we are on the ground. We are calling on the public to work closely with us." While most independent observers have blamed Somali-based Islamists for the spate of attacks, Kenya’s president, Uhuru Kenyatta, has instead blamed “local political networks” for the violence. The region’s governor, Issa Timamy, an opponent of the country’s central authorities, was charged with terrorism and murder following last month’s massacre.